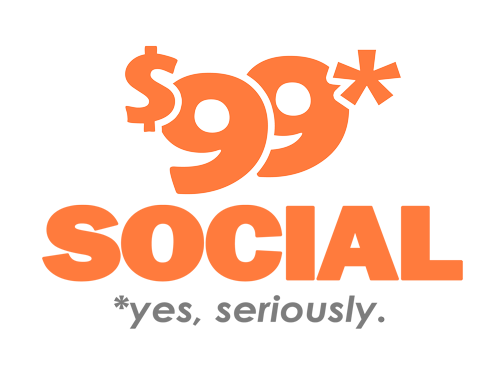 Pinterest should be part of the marketing strategy for every business, whether large or small. All companies should want to popularize their brand, and have it become a fixture in the minds of their audience, so that there’s an instant association with core values espoused by that brand in the company. Behind every brand there is a story, and that story can be told through visual content just as well as through written text, and quite often visuals do it even better. Given the fact that visual content is the hottest thing on the Internet today, it makes great sense for businesses everywhere to be promoting their brand with the visual content which can be displayed on Pinterest. On Pinterest, photos are the star attractions, and sharing favorite photos is practically second nature for all Pinterest users, and this makes the medium ideal for posting photos about your company and its products, and having them proliferate all throughout the Internet. Since 2010 when it was launched, Pinterest has garnered more than 70 million users, 500,000 of which are business accounts. 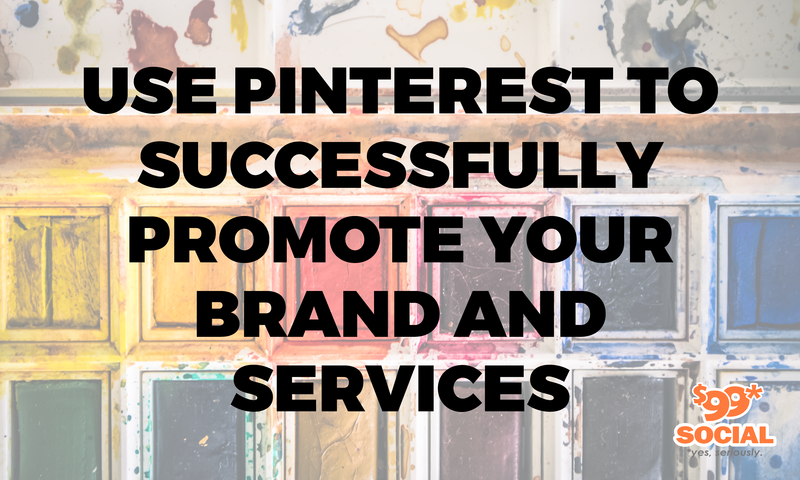 Many of those business users are very active and very engaged on the social medium, but a great many others could make more fuller use of Pinterest to reach their targeted audience. 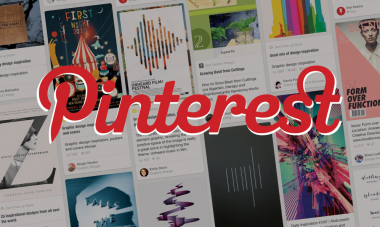 Here are some of the most ingenious ways that you can take advantage of the nature of Pinterest and its users, to promote your brand and get plenty of attention for your company. If your business deals with retail shopping, you can bring Pinterest right into the store, as several major businesses already have. Department store giant Target for instance, has adopted the practice of pinning specific products right in the store, so Pinterest users will find them easily, and when they do, it generally translates into major sales for the company. Nordstrom is another store which has a huge Pinterest following, in the neighborhood of 5 million individuals, many of whom enjoy shopping at Nordstrom outlets. Some of the most popular items in Nordstrom, such as handbags and shoes, are pinned right in the store to make it easy for their Pinterest followers to find them and purchase them. Nordstrom is so committed to its Pinterest marketing strategy that it has developed an app to help their sales personnel locate any items in the store which are pinned. This strategy has been very successful so far for both Target and Nordstrom, and given the fact that businesses will generally copy the success of others, it should be expected that a number of other companies will follow suit in the near future. What this means is that when advertising on Pinterest, your business should focus more on a lifestyle that followers can be enjoying, rather than selling specific products to them. While it might seem that you can’t do one without the other, some companies have already demonstrated that it is possible. Since about 80% of Pinterest followers are women, and their main interests are crafts, kids, fashion, and home design, you might not think that hardware products could be sold in quantity to Pinterest followers. However Lowe’s hardware stores has about 3.5 million followers on Pinterest, and they have gone to great lengths to show how Lowe’s products fit right into a natural style for any room of your house, how some of their products make fantastic gift ideas, and how other products they sell can be used for crafting hobbies, and for making of all kinds of cool gadgets for home use. The lesson to be learned from this is that you can put a spin on your brand which fits the target audience you’re trying to reach, even when that audience doesn’t seem to necessarily be a good fit for your products. It can be very effective if you can humanize your brand, to the point where followers can identify with individuals and places or buildings which are part of your company history and its current presence. The Ben & Jerry’s ice cream company has adopted this strategy on Pinterest, showing a number of photos depicting the rise of the company, through the people who have helped to make it all happen. Pinterest followers are just like people everywhere else, in that they can relate much better to people just like themselves, rather than huge companies that are faceless and lack warmth. Seeing the company story through pictures is a great way to humanize the company, and to demonstrate to followers that people in your company are caring individuals as well. Since your followers and fans are the reasons for your success in the first place, you should use the social networks to express your gratitude and thank them all for the support they’ve given. This is a simple gesture that is always appreciated, and if you can give your fans and followers something they can use or re-create, you’ll probably end up gaining a whole new legion of followers soon afterward. In addition, you should make a point of sharing that thank you pin across all the other social media, so the maximum number of people can be made aware of your message. The Today Show recently topped the 100,000 follower mark on Pinterest, so to express their gratitude, they baked a cake and shared it with their fans to celebrate the achievement. The pin took followers directly to the Today.com site, where a recipe was waiting with detailed instructions on how to prepare the same delicious confection right at home. 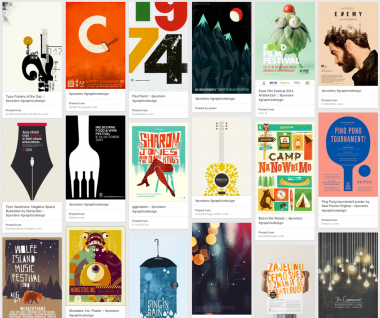 The group boards on Pinterest are an ideal place for you to invite other influential users to contribute their own pins to a community-type board. Their activity on the board shows up in the guest pinners’ followers’ feeds as well as the followers feeds themselves. If you’re working with a really influential pinner, there’s a tremendous potential for attracting new followers. Companies which have a wide range of products such as Etsy, have used this tactic with tremendous results, partnering in the past with such notables as Martha Stewart. By having each of your guest pinners curate their own board, and using all their own preferred hashtags, you can gain all the benefit of your partners’ popularity for your own company.